Make sure to watch the new video preview - we know you all want to have shiny smiles, so let's do this! Explaining the importance of dental care can be a tricky task with a rambunctious or sleepy toddler, especially when it’s time to wash up for bed. 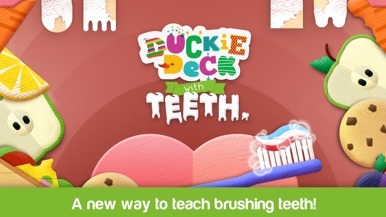 With Teeth not only makes brushing a lot more fun, it also shows a fun variation on tooth growth and development. Design your own special set of teeth, fangs and tusks, adjusting their shapes and sizes any way you wish until they’re ready to chomp. 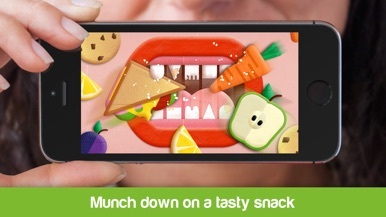 Munch down on a tasty snack and see how grimey your new teeth get. Then brush it all away for a bright and shiny smile! Your virtual dentition will thank you for the care with a grin and a song. Kids will be proud to show off their growing ivories at their next dentist visit! Our goal is for kids to have fun while learning everyday life skills and developing their motor skills and coordination. Most importantly, this application is designed to be completely safe and to protect kids, therefore it has no additional payments or advertising. Luminous Customers can register complaints,track complaints,locate dealers,locate service centers and so on.